The vital objective of this report is to analysis Performance Evaluation of Agriculture Credit Programs in Bangladesh. Other objectives of this reports are to observe the agriculture credit policy in Bangladesh, find out the target disbursement of agriculture credit, actual disbursement of Agriculture credit, and recovery of agriculture credit. Here also find out the refinancing facility, this is provided by Bangladesh Bank and find out the reasons, why Agriculture Credit does not reach at the targeted level. Finally this report make swot analysis Performance Evaluation of Agriculture Credit Programs in Bangladesh. To observe the agriculture credit policy in Bangladesh. To find out the target disbursement of agriculture credit, actual disbursement of Agriculture credit, and recovery of agriculture credit. To find out the refinancing facility, this is provided by Bangladesh Bank. 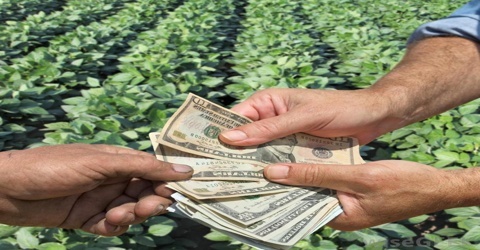 To find out the reasons that why Agriculture Credit does not reach at the targeted level? Bangladesh is a developing country and most of the people are dependent on agriculture as their employment. Agriculture is the driving force of the economy of Bangladesh. Many of us think it as the life-blood of the rural economy of Bangladesh. The economy of Bangladesh is primarily dependent on agriculture. About 77 percent of the total population live in rural areas and are directly or indirectly engaged in a wide range of agricultural activities. Agriculture contributes about 21 percent to the country’s GDP, about 12 percent of which is contributed by the crop sector alone. About 48 percent of the labour forces are employed in agriculture. The scope of modern agriculture has been widened significantly Although agriculture used to be originally defined as the cultivation of land for producing crops only, now-a-days, any applied activity through proper utilization of natural resources which relates to the production, development, preservation, processing, marketing and extension of not only crops but also other agricultural commodities such as fish, meat, eggs, forest products, etc. is universally accepted within the purview of agriculture. According to the above definition, crop production, animal husbandry, fisheries, forestry, etc. are integral components of agriculture. But, crops undoubtedly constitute the largest and most important sector of Bangladesh agriculture. Agriculture is dependent on the vagaries of nature and is risky. Availability of cultivable land is decreasing. Lack of proper land use planning. Widespread poverty among the population engaged in agriculture. Agricultural commodities are rapidly perishable and post harvest losses are too high. Inadequacy of appropriate technology considering farmers’ socio- economic conditions. Decreasing yields of different crops due to slow expansion of modern technology as well as unplanned use of soil and water. Uncertainty of fair price of agricultural commodities due to underdeveloped marketing system. Very weak backward-forward linkage in agriculture. Limited knowledge of common people about the nutritional value of agricultural commodities including vegetables and fruits. Absence of efficient as well as effective farmers’ organization at the grass root level. Inadequate use of improved seeds, fertilizers, irrigation and other inputs. There are various problems are stated but the main problem is lack of capital to produce more crops or to modernise the agriculture sector. We know the most of the farmers in Bangladesh are poor and they are not capable to modernise this agricultural sector by individual initiative. So in here it is necessary to give loan to the farmers, who are efficient but not capital adequate farmers. To reduce this kind of problem Government provided agricultural credit programs. Keeping in view, the importance of credit for ensuring sustainable growth in the agriculture sector, annual program based indicative disbursement targets of credit by the lending banks are designed. Yearly targets of disbursement are set by the banks themselves taking into consideration expected demand for credit for the year, previous years’ disbursements and the availability of fund. In recent time, private commercial banks have come forward to participate in agricultural and rural finance programme along with the specialized financial institutions and state-owned commercial banks (SCBs). Annual Agricultural Credit Policy and Program for Fiscal Year Agriculture being the key driving force as well as the priority sector of Bangladesh economy, Bangladesh Bank (BB) has formulated Annual Agricultural Credit Policy and Program for the Fiscal year 2009-10 with a view to ensuring food security of the country. This policy and program will expand agricultural production and employment generating activities by increasing the flow of credit to the agricultural sector, which in turn, will revive the rural economy by increasing internal demand and thus, BB thinks, will boost up the economy of Bangladesh in the face of global economic recession. The target for disbursement of agricultural credit has already been fixed at around Tk. 115 billion for FY 2010-11 Agriculture Credit Program and the amount is the highest so far which will be disbursed by the state-owned commercial banks (SCBs) and the specialized banks (SBs) simultaneously with the private (PCBs) and foreign commercial banks (FCBs). The targeted amount will not be limited to grains and crops only; rather adequate allocation has been made under this program for fisheries, livestock and agriculture supporting sectors as well as for income generating and poverty reduction activities in rural areas. In this regard, it may be mentioned that agricultural credit disbursement target in FY 2009-10 was Tk. 74.66 billion and in FY 2008-09 was Tk. 69.75 billion. Agricultural Credit Policy for Fiscal Year 2009-2010 has been formulated as a guideline for banks and other financial institutions to facilitate agricultural credit system at the field level properly. The policy highlights for reaching out to relatively underdeveloped areas for delivering agricultural credit and timely & hassle free delivery of adequate agricultural credit to small farmers & share-croppers. Besides disbursing agricultural credit at Union level openly through a transparent process, emphasis has been given on making district agricultural credit committee (DACC) more active so that only true farmers get agricultural credit. Simultaneously, banks are advised to disburse sufficient amount of credit for agricultural instrument purchase and other agriculture supportive sectors as well as for poverty reduction and income generating activities in rural areas, and to disburse agricultural credit to women entrepreneurs on a priority basis. A comprehensive monitoring strategy for agricultural credit system is being devised by simultaneous monitoring of agricultural credit system at bank level and formation of ‘Agricultural Credit Monitoring System’ in Bangladesh Bank. In addition to maintaining existing policies for proper implementation of agricultural credit program, a good number of new pro-poor policies have been adopted. A farmer may be sanctioned credit for up to 15 bighas (5 acres) of cultivable land as determined by credit However, credit ceiling for growing potato and sugarcane will remain fixed at 2.5 acres of cultivable land. Target for FY 2009-10 was Tk.11512.30 crore. In disbursement of agricultural credit three core sectors of agricultural credit have to be given priority compared to other sectors. 60% of agricultural credit has to be disbursed to grain and crop sectors only. Importance should be attached to regional crop production patterns and crop types (i.e., whichever crops grow better in a region) while disbursing agricultural credit through a pragmatic area-based approach. Banks with inadequate number of branches are advised to disburse agricultural credit by establishing linkages with NGOs/self-employment supporting groups if and when needed. Banks are encouraged to disburse group-based loans to fishermen in various water bodies, haors and pools. In order to provide practical assistance in field level Agricultural Credit Program credit norms including per acre production cost of crops, necessary directions for co-crops and relay crops and crop calendar for planting & harvesting of crops and useful time limit for credit repayment by farmers have been linked with policies in collaboration with the Directorate of Agriculture under the Ministry of Agriculture. Banks are directed to give priority to relatively underdeveloped and neglected areas such as char (shoal), haor and coastal areas in disbursing agricultural credit. Simultaneously, Bangladesh Bank will consider providing refinancing facility to encourage credit distribution programs in such areas. A portion of targeted agricultural credit disbursement of Bangladesh Krishi Bank (BKB) and Rajshahi Krishi Unnayan Bank (RAKUB), who are receivers of Refinance facility from Bangladesh Bank, will be brought under NGO linkage program. In order to bring landless, marginal and sharecroppers under bank credit coverage, arrangement has been made for accessing agricultural credit by submitting certificates by landowners and important persons of society. To ensure fair prices of agricultural produces at grower level banks and financial institutions are directed to disburse agricultural credit to genuine farmers as well as in favour of local small businessmen in the crop storage and marketing sectors under agricultural credit program so that small/large crop depots can be built. Banks and other concerned institutions are directed to provide necessary credit to successful farmers so that other farmers to get inspired by their success. A three-year revolving crop credit program is underway as a means to dispel complications in accessing agricultural credit for the same land arising from submission of land documents every year. Banks and other concerned institutions are advised to make arrangement for credit disbursement in the presence of local public representatives, concerned agricultural officers, teachers and other important persons in the community at Union level so that genuine small farmers and share croppers can access agricultural credit, grain and crop credit in particular, through a transparent process. Concerned institutions are also advised to disburse credit in favour of fishermen permanently residing in the southern region of the country so that they can purchase/procure fishing instruments such as boats, nets etc. Mushroom cultivation has been included in the list of sectors-sub sectors eligible to access to agricultural credit considering the nutritional value and cultivability of mushrooms in Bangladesh. New agriculture initiatives have been included in agricultural credit norms with a view to encourage them by providing necessary credit In this respect, banks are directed to seek help from local Agricultural Extension Officers. To reduce import dependence agricultural credit has to be offered at 2% under government declared rebate facility for growing agricultural products such as lentils, oilseeds, corns etc. including spices (ginger, garlic etc.). As an agriculture supporting sector irrigation, ploughing and harvesting machineries have to be provided with necessary credit. Each bank branch is advised to take initiative for disbursement of agricultural credit for purchasing at least one threshing machine. Besides supplying credit to agriculture and supporting sectors, credit has to be made available for different self-employment or income generating activities on individual or group basis with a view to expediting growth momentum in the rural economy. Concerned banks have to ensure effective monitoring system so that only the real farmers get necessary amount of agricultural credit in a timely and hassle-free manner and the targeted amount of agricultural credit is disbursed. Bangladesh Bank is also preparing a comprehensive agricultural credit monitoring strategy. Women entrepreneurs should get priority in agricultural credit Attainment of targeted amount of agricultural credit will be deemed as a plus point in getting permission for opening new bank branches. District Agricultural Credit Committee headed by Deputy Commissioner in each district has to be more active. Information centres established in DC offices will preserve the list of agricultural loan receivers. Banks will be encouraged to use modern Information and Communication Technology (ICT) including mobile phone in agricultural credit disbursement programs. A few banks have already opened Small and Medium Enterprise (SME) centres which may also play a supportive role in disbursing agricultural credit. As usually practiced every year, this year too Annual Agricultural Credit Norms for FY 2009-2010 has been formulated in collaboration with the Directorate of Agricultural Extension for the banks who disburse agricultural loans at field levels as well as for other concerned institutions. The main features of credit norms remain unchanged so as to bring credit facilities close to marginal farmers. However, credit limit has been increased in the rage of 5-10 percent to match with production costs of the previous year. Moreover, banks are allowed to adjust credit limit locally up to 10% according to real demands of farmers. Additionally, new agricultural initiatives will be able to avail funding supports and as a part of this facility cultivation of ‘Baukul’, ‘Apple Kul’ and lichis have been included in the Agricultural Credit Norms (ACM). Further actions, if necessary, will be taken to include new agricultural initiatives in ACM for the rest of the fiscal year. Bangladesh Bank will take all necessary steps to implement the Annual Agricultural Credit Policy and Program in favour of marginal farmers of the country with the help of other banks. To add momentum to the agricultural credit system, Bangladesh Bank will invigorate its own monitoring system while the concerned banks will continue strengthening their respective monitoring systems. Bangladesh Bank will seriously consider any complaints regarding irregularities with or harassment of farmers. In case of severe complaints, Bangladesh Bank will rapidly investigate into the matter and take necessary actions accordingly. In the wake of rising inflation and alarming food crisis, Bangladesh Bank (BB) in a directive in September 2008 asked all banks to disburse agricultural credit at the beginning of every fiscal from July to June. In the latest monetary policy statement the BB has also made it mandatory for all banks including private and foreign commercial banks in agriculture lending. Besides the BB also enlightened the promotion of well functioning crop insurance arrangements suggested earlier to protect the interest of growers would also be beneficial in reducing risks for agricultural loan providers. To ensure food security and sustainable growth in the agriculture sector, a certain portion of each bank’s total loan portfolio was made mandatory for agricultural credit disbursement. In here we considered the financial year from 2001 to 2009, and our main concerns are the actual disbursement of agriculture loan and its recovery. There are various reasons which create problems to disburse the full amount of targeted loan to the farmers and to recover the loan amount. Chart-02: There is given an overview of percentage change in target disbursement, percentage change in actual disbursement, percentage of actual disbursement on target disbursement with graphs. The main sources of finance in agriculture are still the state-owned banks. As such specialised banks BKB and RAKUB, state-owned commercial banks and BRDB are dominant players in the area of agricultural credit. BKB had the largest share like in previous years in annual disbursement of agricultural loan. In recent time, agricultural and rural finance programme seems to have improved as the private commercial banks began to participate along with the state-owned commercial banks (SCBs). In fiscal year 2009-10, private commercial banks, disbursed Tk 18.57 billion in farm loans while nine foreign commercial banks disbursed only Tk 1.91 billion. State-owned commercial banks disbursed Tk 20.15 billion and Bangladesh Krishi Bank disbursed Tk 38 billion credit. The foreign commercial banks operating in Bangladesh did not disburse any agricultural loan before the fiscal year ended in June 2008. The government continues with its efforts to simplify the procedures for agriculture credit disbursement. The poor performance of the private commercial banks especially a very inadequate share of foreign banks in agriculture credit disbursement during the FY 09 made the BB authority disappointed. It might compel the central bank authority to think further steps on forcing the banks to provide agricultural credit and strengthen monitoring at all levels of credit distribution. The district agricultural credit committee should be made more effective to monitor fast credit disbursement and credit recovery. Along with these initiatives Bangladesh Bank should also keep in mind about the donors’ attitude and position of rapid expansion in production in Asia during the green revolution “Asia had achieved food security and so there is no further need for supporting agriculture research and irrigation”!! We should not follow all the policies and proposals imposed by WB and IMF as they will not suggest in line with our needs. It is our responsibility to pay attention on farmers’ interest. Therefore, the bank must make sure the availability of agriculture credit by advancing the foreign banks so that the farmers can have access to agriculture inputs during the required production period. During FY09, BKB and RAKUB had enjoyed refinance facilities to the tune of Taka 2.94 billion from Bangladesh Bank. No other institutions availed of refinance facilities from Bangladesh Bank in FY09. An amount of Taka 3.73 billion (including interests) was recovered against past refinance loan due from different banks and institutions leaving an outstanding balance of Taka 59.80 billion (including interests) as one end of June 2009 for future recovery. During FY08, BKB and RAKUB had enjoyed refinance facilities to the tune of Taka 6.72 billion from Bangladesh Bank. No other institutions availed of refinance facilities from Bangladesh Bank in FY08. An amount of Taka 3.54 billion (including interests) was recovered against past refinance loan due from different banks and institutions leaving an outstanding balance of Taka 60.02 billion (including interests) as one end of June 2008 for future recovery. During FY07, there were no refinance facilities from Bangladesh Bank. An amount of Taka 3.47 billion (including interests) was recovered against past refinance loan due from different banks and institutions leaving an outstanding balance of Taka 55.07 billion (including interests) as one end of June 2007 for future recovery. During FY06, RAKUB had enjoyed refinance facilities to the tune of Taka 1.43 billion from Bangladesh Bank. No other institutions availed of refinance facilities from Bangladesh Bank in FY06. An amount of Taka 2.92 billion (including interests) was recovered against past refinance loan due from different banks and institutions leaving an outstanding balance of Taka 56.38 billion (including interests) as one end of June 2006 for future recovery. During FY05, BKB and RAKUB had enjoyed refinance facilities to the tune of Taka 7.36 billion from Bangladesh Bank. No other institutions availed of refinance facilities from Bangladesh Bank in FY05. An amount of Taka 4.66 billion (including interests) was recovered against past refinance loan due from different banks and institutions leaving an outstanding balance of Taka 55.2 billion (including interests) as one end of June 2005 for future recovery. During FY04, BKB and RAKUB had enjoyed refinance facilities to the tune of Taka 4.71 billion from Bangladesh Bank. No other institutions availed of refinance facilities from Bangladesh Bank in FY04. An amount of Taka 2.56 billion (including interests) was recovered against past refinance loan due from different banks and institutions leaving an outstanding balance of Taka 48.08 billion as one end of June 2004 for future recovery. During FY03, RAKUB had enjoyed refinance facilities to the tune of Taka 1.99 billion from Bangladesh Bank. No other institutions availed of refinance facilities from Bangladesh Bank in FY03. An amount of Taka 2.27 billion (including interests) was recovered against past refinance loan due from different banks and institutions leaving an outstanding balance of Taka 46.73 billion as one end of June 2003 for future recovery. During FY02, BKB and RAKUB had enjoyed refinance facilities to the tune of Taka 7.71 billion from Bangladesh Bank. No other institutions availed of refinance facilities from Bangladesh Bank in FY02. An amount of Taka 3.72 billion (including interests) was recovered against past refinance loan due from different banks and institutions leaving an outstanding balance of Taka 45.78 billion as one end of June 2002 for future recovery. During FY01, BKB had enjoyed refinance facilities to the tune of Taka 6.53 billion from Bangladesh Bank. No other institutions availed of refinance facilities from Bangladesh Bank in FY01. An amount of Taka 7.281 billion (including interests) was recovered against past refinance loan due from different banks and institutions leaving an outstanding balance of Taka 40.53 billion as one end of June 2001 for future recovery. Agriculture Credit does not reach at the targeted level……But why? Getting credit at the grassroots level is still a big problem. Even now, when the governor of the Bangladesh Bank has issued a directive to all the banks to disburse loan to the farmers at a lower rate and also allotted a certain portion of BB finances to other banks for farmers, the banks are finding it difficult to disburse loan to the farmers for several reasons. The major issues for private bankers are assessing the farmers’ eligibility for receiving loan, high cost of reaching individual farmers for small loans, securing a guarantee for the loan, receiving proper collateral papers for the loan, assessing the risk of the project and reducing the cost of realisation and management to a minimum. For these reasons most of the bankers give loans to large-scale farmers or to the agro- traders, who have enough transaction with the bank and also have assets to use as collateral. In this way, the objective of the government to reach finance to the poorest farmers is not being attained. The foremost issue is finding the right farmers and assessing them, which is beyond the scope of the bank’s regular work, and is also very time consuming. The operating cost of the bank will also increase if loans have to be realised by going to each individual farmer. Eligibility Must be a Bangladeshi National. Age between 22 to 55 years. Minimum 02 years working experience. Second, giving a loan depends upon the manager of that particular branch. Some managers are reluctant to take the risk and go for large-scale agro projects. This is another loophole in the system. The managers are directly responsible for the loans that they disburse, so they are unwilling to take risks, no matter how much the government encourages the private banks. Small or marginal farmers usually do not have any collateral papers like land deeds. Even if they have documents, most of them are not updated. So the bankers do not give loans because of their unwillingness to take the risk without collateral. Third, most bankers do not have agricultural background, so they do not usually understand the risks in agro projects. Some banks do have agriculturist for this particular purpose, but they are usually posted in the head office and do not go to the field that often. Last, bank managers do to have enough manpower to reach many farmers and realise the loan from them. How to solve these problems…..? Contract farming is one solution to these problems. The bank gives the loan to the contractor, or the contractor acts as a guarantor for the farmers. The contractor provides the technology and the knowledge about cultivation techniques. He also buys the harvest from the farmers. After the contractor buys the harvest the farmers pay back the loan through the contractor. But the contractor is not always willing to take the risk, and the bankers also, at times, want to give the loan directly to the farmers. Another solution is crop insurance; banks can give loan against the insurance. Though this idea is difficult to implement in Bangladesh, crops and seasons can be chosen to minimise the risk of both the parties. To solve these problems different private banks have taken different strategies. Some banks have solved the problem through arranging family groups with cumulative liability, which spreads the risk and at the same time makes monitoring easy for the bank. Group members are liable for any defaulter within the group. Also the bankers have to go only to the group leaders instead of all the farmers. The bank makes a deed on non-judicial stamp paper for each group. This keeps the farmers conscious about the loan. In conclusion, it can be said that, even without land collateral, banks can give loans to farmers if they have the will. And contract farming, if utilized properly, can be another way to arrange collateral and disburse loan to marginal, landless farmers and share- croppers.